The sanctuary's education and outreach programs focus on educating the public about Hawaii's humpback whales and other ocean life. 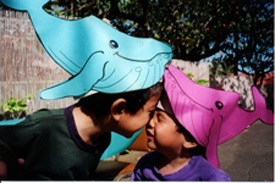 A variety of programs are offered that allow the public to learn about the ocean and become involved in its protection. View the winning artwork and poems & short stories from the 2012 Ocean Contest as part of the Humpback Whale Month celebrations! Find out about the Sanctuary Ocean Count and other public outreach programs you can get involved in. Check your whale knowledge and play our Whale Trivia! Also, find out more about Ocean Guardian Programs. 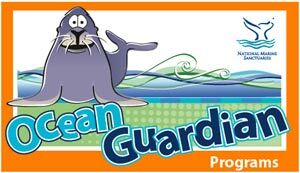 The purpose of the NOAA National Marine Sanctuaries Ocean Guardian Programs are to encourage children to explore their natural surroundings to form a sense of personal connection to the ocean and/or watersheds in which they live. indicates a link leaves the site - please view our Link Disclaimer for more information.